- You can obtain different rewards based on the amount of Pearls you spend in the Pearl Shop. - The amount of Pearls you spend will be reset on every first day of a month. - The Integrated Marketplace is a Marketplace where the players can shape the economy with free trades. - You can enter the Integrated Marketplace using the main menu or the Marketplace Managers in each town. Marketplace Inventory has been added. - The Marketplace Inventory is an integrated inventory where you can store silver and items that will be registered in the Marketplace. - All Marketplace purchases will be made through the Marketplace Inventory from now on. 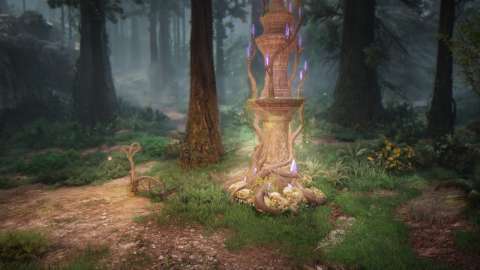 - You can transfer your items in your inventory/storage to the Marketplace Inventory by talking to the Marketplace Manager NPCs or through your Marketplace Maids/Butlers. 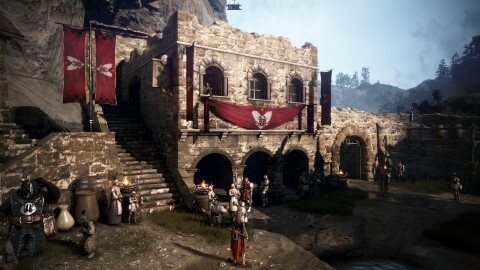 - The Marketplace Inventory will not be bound to territories. 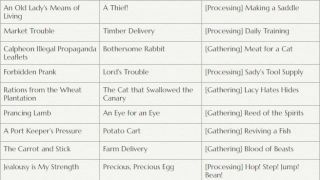 - Same items can be stacked in the Marketplace Inventory. For example, 10 Kzarka Longswords will only take one slot in the Marketplace Inventory. - You cannot transfer anymore items to the Marketplace Inventory if your Marketplace Inventory has more than 10,000 VT. However, you can still move your items to your character’s inventory if the weight limit goes over 10,000 VT due to a transaction. The Integrated Marketplace allows more flexible price changes. The maximum prices of most items have increased except for a few items. The price will be determined based on the current market value of the item. The market value will change a lot when a lot of trades are occurring, but will not change much when there aren’t many trades. - The maximum pre-order price will be 110% of the item’s marketplace price. 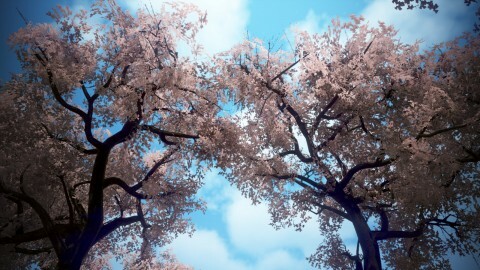 - When an item is sold via pre-order, the player who placed the highest money will get the item. If there are multiple players who placed the same amount of money, the item will be sold to the one who pre-ordered the item first. - When an item is at its maximum price and multiple players pre-ordered the item with the maximum pre-order price, the item will be sold to a random person. New Category “Fluctuating Price” has been added to the Integrated Marketplace. - The category will show the items in which the market value changed dramatically in short period of time in order to prevent abuse. Weapons and Armors can be searched by enhancement level groups. - When pre-ordering items, the item that has lower enhancement level within the same group will be pre-ordered first. 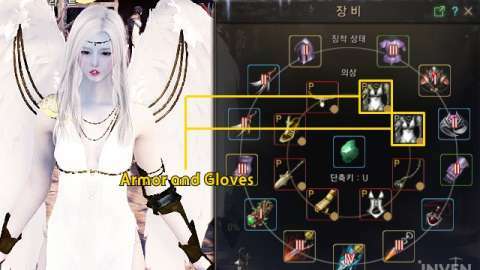 - Items that have lower enhancement level within a group will be sold first when there aren’t any more of the same item at the Integrated Marketplace. If there are more of the same item available, you can pay extra money to purchase an item with higher enhancement level. 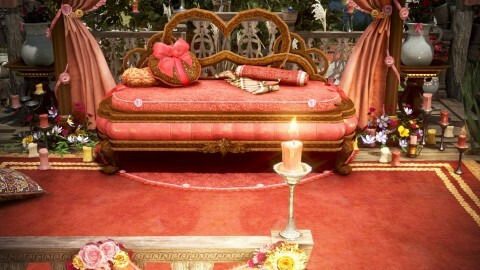 The extra money you’ll have to pay will be calculated based on the item’s enhancement level and enhancement materials. Notification message will be sent to you when the item you registered in the Integrated Marketplace is sold via pre-order. Items that have never been registered in the Integrated Marketplace will not appear in the Marketplace item list. World notification will pop up when the following items are registered. You can now register a maximum of 100 Pearl Items at the Marketplace. The original Marketplace will not close. 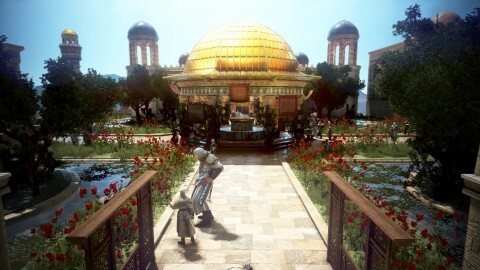 However, you can only retrieve registered items, collect money, and purchase special deal items in the old Marketplace. You can now transfer items between the Marketplace Inventory and your character’s Inventory through Marketplace Maids. The Web Marketplace, a Marketplace that you can access anywhere, is currently in development. You cannot jump in the water as the Black Spirit. When searching for parties, the level limit has been fixed to 1. Description regarding party game has been added to the Party UI. The black curtain will be visually clearer when you open the map. The highlight on the winner’s name will be brighter. Fixed the issue where you could not enter the spectator mode again. Fixed the issue where you could enter more than 6 letters as a password. Fixed the issue where the “extend” button appeared when it has not passed 1 minute yet. The word Start Game/Start Game(Party) has changed to Individual Game/Team Game. Fixed the issue where the text “now processing” did not appear when entering Marni’s Secret Island. You can now kick out players in a locked game lobby. Fixed the issue where Pet group was refreshed when playing the Shadow Arena. Fixed the glitches in the spectator mode. The countdown will start when there are 40 players. - “Starting Soon” will appear to those who entered the game after the 40th player. Hungry Black Spirit will appear in Waragon Cave 500 seconds after the game starts. 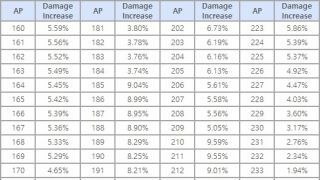 AP +100 buff obtainable by destroying jars has changed to AP +50. Character balance in the Shadow Arena has changed. - Mystic: Crouching Wolf is not obtainable from skill books. Fixed the issue where the character would switch to combat stance after installing certain items. 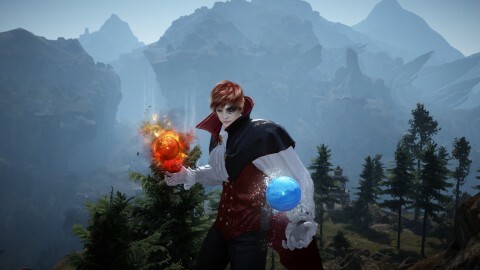 Female characters can now dye their stockings after wearing Shadow Chaser costume. Fixed the abnormal display of the character’s outlining in DirectX9. Fixed the black background in the skill icon of Counter. The command for Executioner has changed from E to Shift + E.
The Warrior can now use Take Down by pressing E in awakening stance. Guard and Great Sword Defense can now be used while using other skills. Kick and Flow: Knee Kick will not be activated while using Ground Smash. AoE of Flow: Knee Kick has increased. Flow: Knee Kick will now inflict Stiffness. The distance in which the attacked monsters are pushed away has increased for Flow: Knee Kick. The duration of Super Armor for Flow: Slashing the Dead has increased. Piercing Spear will consume 50 WP instead of 95. 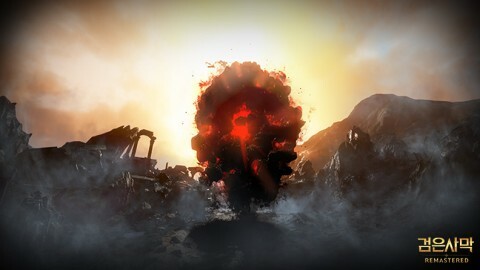 Black Spirit: Solar Flare will be affected by attack speed. The distance where the Warrior moves has increased for Balance Strike. Connecting to Merciless and Flow: Reckless Blow after Flow: Armor Break will be faster. War Cry will have forward guard. The first animation of Counter will have forward guard. Ultimate: Ground Smash will deal more damage and hit more times. Ultimate: Ground Smash will have 100% critical hit chance. Ground Smash skills except for Ultimate: Ground Smash will have super armor. Fixed the issue where the cooldown of certain skills were refreshed when using the skills. Fixed the graphical glitch with Shadow Chaser costume in combat stance. Fixed the graphical glitches with Bern Helmet/Clothes. Fixed the black lines on the Ranger’s neck that appeared when you choose the default hair style. Fixed the graphical glitches with Noel clothes with low durability and Stella clothes. Fixed the issue where the damage of Elastic Force was not adjusted for PvP. Absolute: Elastic Force will not deal 1% of max WP as extra damage anymore. Fixed the graphical glitches with Shadow Chaser clothes, Cavaro Gloves, and Kibelius Iron Buster. Fixed the typo in the skill description of Elastic Force. Raging Thunder will still be activated when you press LMB+RMB just once and not hold the buttons. You can use the last hit of Raging Thunder by left-clicking while the skill is being used. Forward Evasion will be available when Evasion is locked. 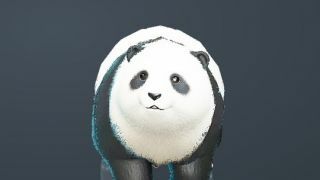 The cooldown of Summon Heilang has increased to 10 seconds. Super armor will be applied during Summon Heilang. When the Tamer or the Heilang is attacked during Summon Heilang, the Heilang will be summoned immediately with counterattack stance. 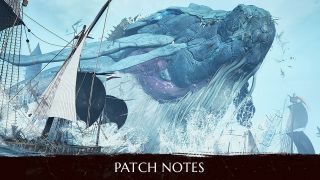 The Tamer can now connect to other skills faster after Cloud Stomping when the Tamer lands without attacking. Cloud Stomping can be used in main weapon stance as well. Cloud Stomping can be used while using other skills. Accuracy of Leaf Shash (all levels) has been doubled. Accuracy of Celestial Bo Staff Training (all levels) has increased 1.5 times. Heilang: Howling can be used in main weapon stance as well. 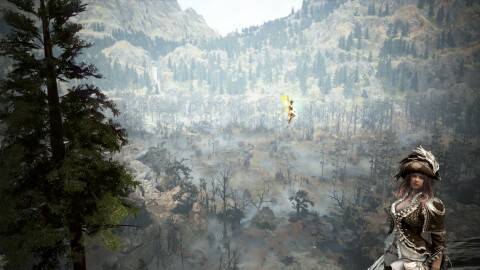 When Tree Climbing is locked, the Tamer can connect to Moonlight Strike in main weapon stance. When Leaves Dropping is on cooldown, the Tamer can use Flow: Gust in main weapon stance. 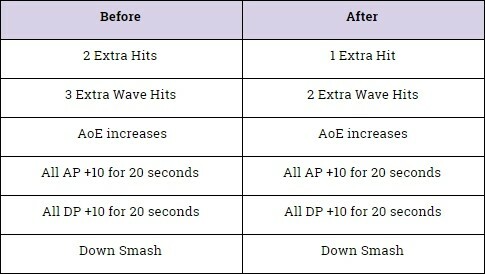 AoE of the extra hit in Garuda has increased. The extra hit in Garuda will have Air Attack and Air Smash. Heilang: Trample will be slower when you use the skill again with quickslots after Heilang: Trample. Heilang: Scratch will be used slower when you use the skill consecutively. Bolt Wave will consume 100 Stamina in all levels. AoE of Void Lightning has increased. Void Lightning will have super armor instead of forward guard. The damage of Beast Rampage has increased. The damage of Allround Spinner has increased. 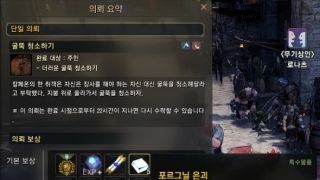 Heilang: Howling will be maintained even when the Tamer uses other skills except for Heilang: Berserk and Absorb Heilang. 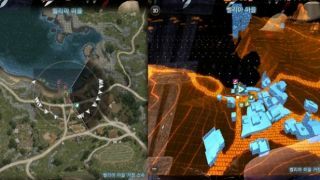 Stiffness in Heilang: Howling will be applied faster. Fixed the issue where the cooldown of the below skills were refreshed when you used the skills again. Heilang will not disappear when you use Absorb Heilang. 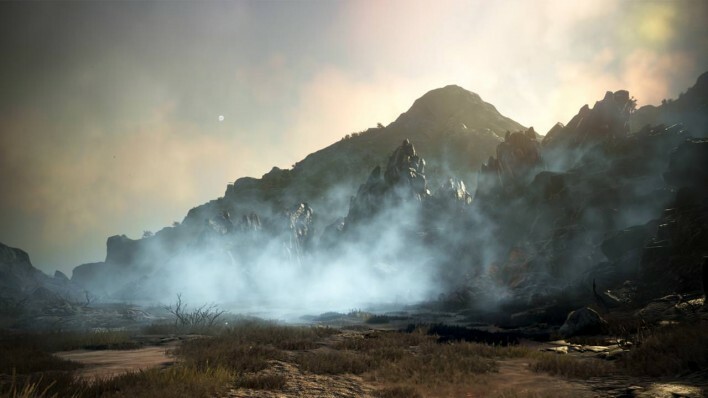 The graphics of Absorb Heilang will look the same in awakening and non-awakening stance. Fixed the issue where the party/guild/horde member’s Processing was canceled when the Valkyrie uses Heaven’s Echo or Elion’s Blessing during mounted combat. The target of Sanctitas de Enslar will be fixed when you hold LMB. Fixed the typo in the skill description of Sanctitas de Enslar. Hastilidium will consume 200 Stamina in all levels. AoE of Punishment has increased. AoE of the healing effect for Purificatione has increased. Skill effect of Purificatione has changed. 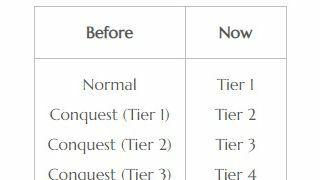 AoE of Castigatio III and IV has increased. Using Terra Sancta after Castigatio as a combo will be faster. Blitz Stab and Ultimate: Blitz Stab will not push targets anymore. Ultimate: Blitz Stab will deal more damage. AoE of Ultimate: Blitz Stab has increased. The distance that the Valkyrie moves for Ultimate: Blitz Stab has increased. Flow: Lucem Fluxum can be used with quickslots. Strong Defense can be used while using other skills. Casting speed of Righteous Charge will be faster. Shield Chase can be used when the Valkyrie is not in Defense mode. Casting speed of Black Spirit: Promptness has increased. Black Spirit: Terra Sancta has changed. Fixed the graphical glitch with Shadow Chaser clothes. Fixed the issue where the Maehwa’s speech bubble did not disappear. Ninjutsu: Black Moonlight will inflict Stiffness in PvE only. Tendon Cutter will inflict Stiffness in PvE only. Fixed the graphical glitch with Envy Bikini. Suicide Fall will not have super armor anymore. 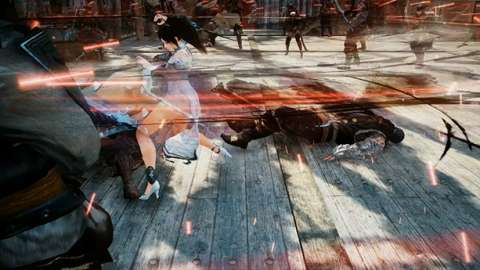 Concealment will be removed when the Kunoichi is hit while concealed. Fixed the issue where Fox Claw did not recover HP when the skill was used too fast after other skills as a combo. Ninjutsu: Blade Spin will float enemies in PvE only. Fixed the issue where Beheading the Dead had super armor. Beheading the Dead will decrease all DP on good hits. Concealment will be removed when the Ninja is hit while concealed. Fixed the graphical glitch with Canape Hat. Fixed the issue where the party/guild/horde member’s Processing was canceled when the Witch uses Healing during mounted combat. Fixed the issue where Magic Lighthouse did not work properly in Hystria Ruins and Aakman Temple. Fixed the issue where the hat was invisible in the basic outfit. Flash Step and Silent Step will have 20% increased movement speed for 10 seconds in all levels. Thunder Pound I will not have forward guard and will not inflict Stun. Nature’s Wrath will not increase evasion. Evasion buff for Rapid Stream has changed. Hurricane Sweep and Black Spirit: Hurricane Sweep will recover 200 HP per motion (maximum 600 HP). Twisted Collision will not have forward guard. Fixed the graphical glitch with New Year Hanbok. Fixed the graphical glitches with Alchemist’s Clothes, Trainer’s Clothes, and Shold Glasses. Fixed the issue where the armor piece on the Karlstein clothes’ shoulder was invisible. Fixed the issue where the party/guild/horde member’s Processing was canceled when the Archer uses Breath of the Spirit during mounted combat. Fixed the abnormal animation that occured when you press W multiple times. Fixed the issue where the Archer sprinted when you press W immediately after pressing T.
The Archer will be in non-combat stance when you press T and W consecutively and then stops moving in main weapon combat stance. The text “You can exchange two of HP Potion(Rookie) with 1 HP Potion(Small)” has been added to the item tooltip of HP Potion (Rookie). Izaro the stable manager in Heidel will now sell Izaro Riding Crop. The Archer can now open [Event] Karlstein Weapon/Costume Box (15 days). Cron Stone Box (10 Cron Stones) has been added to Patrigio’s Secret Shop. The price of Cron Stones that can be purchased from NPC vendors has increased. The maximum marketplace prices of Pearl Items will be doubled. Silver coins will now weigh 0 LT, and the maximum amount of Silver that a character can hold will be 0.1 billion. Recommended AP for Omar Lava Cave has changed from 100 to 70. Regular monsters around the area where boss monsters are summoned during the Black Spirit’s main quest have been relocated. 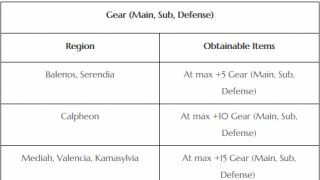 The chance of obtaining the following items by defeating guild ocean monsters has decreased by 60%. The black shadow in the sky above Trina Fort will be invincible. Magical/Lucky gathering tools will not give more results when butchering hunted monsters. In Hystria Ruins and Aakman Temple, the target of the monsters in Magic Lighthouse will change less frequently. - Fixed the abnormal damage of the dash attack of Kureva/Damaged Kureva. - Fixed the issue where Kureva/Damaged Kureva did not deal damage when picking up a rock. You can re-obtain Dim Magical sub weapons by exchanging it with two Token of Promise when you have completed the new main quest “Calling the Adventurer”. You can obtain Targak Steel Shard by the quest “Black Spirit’s Gift II (Ultimate Castillion Weapon) after completing the new main quest “Calling the Adventurer”. Typos during some quests have been fixed. The icon for guild member’s voice button has changed. Locked items will not be used as Processing materials. Notification messages that are currently open will close automatically when you turn off the option for the message. Main quest widget will not appear when you have completed all the main quests. Fixed the issue where some maids/butlers did not appear on the list when you have more than 20 maids/butlers. When Purifying gear, the money will be deducted either from your inventory or storage based on how much you have in each. Fixed the overlapping texts and the texts that went outside of the window. A banner that directly leads to Marni’s Secret Island has been added to the bottom right corner of the screen. Description regarding the Shadow Arena on the right side of the screen will be closed when you enter Marni’s Secret Island. The area of the button to open/close the description of the Shadow Arena has increased. Fixed the abnormal location of your inventory when Purifying gear. A confirmation window will pop up when you click on the “Leave” button during the Shadow Arena. Locked materials will not be consumed for continuous Processing. You can now use emojis after possessing in the Shadow Arena. Fixed the typo in the Processing window. Fixed the issue where the location of the skill cooldown/quickslot UI would change. Fixed the issue where the cutscene appeared twice when you press the Start button as the game is starting automatically. The sky will not be visible inside the well in Delphe Knights Castle in the Remastered/Ultra mode. Fixed the issue where the NPCs that are more than 400m away looked like they are airborne. The location of certain fishes in Navarn Steppe has changed. Fixed the issue where certain haystacks in Northern Wheat Plantation were airborne. Fixed the issue where certain spots in Loopy Tree Forest looked like it is underwater. Fixed the abnormal camera effect while interacting with a soldier NPC in Western Guard Camp. Fixed the issue where the button “Ask about the boatman” in Philaberto Falasi’s Amity information window appeared twice. Fixed the location of the NPC in front of Heidel 3-1. NPC lines of some NPCs in Muiquun will be more natural. Fixed the issue where emojis were not visible for the messages sent from other servers. Fixed the issue where the ships that are far away from you appeared as they are moving sideways. Description regarding Hunting Mastery in My Profile has been edited. Auto-pathing route to the right side of Tshira Ruins has been improved. The message that appears when guild/party invitation fails has changed. - Cannot find the character in the current channel. In the growth boost server, the maximum level that can receive the exp boost has increased from 30 to 50. You can no longer build annexes to the Forts that are in the nodes where the Node War is over. When reconnecting to the game, the reconnection status window will be displayed. Fixed the issue where the size of the system messages became larger when multiple system messages are displayed consecutively. 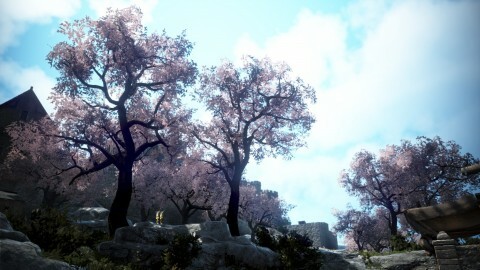 Looks like they are done Alpha testing the new marketplace on MENA and moving onto Beta tests in KR servers! Can't wait for the rest of us to get a half polished product. Cron stone price change decreasing cron stones needed to enhance but not changing needed cron stones for T9 horses. Is this a bug or did they confirm this was intended? does this mean you can buy 100 costumes and list them on the market?